Features: This property consists of two wood-frame and concreate buildings in an excellent location on the C Street corridor in Anchorage. It features an enclosed, uncovered atrium for employees, a large covered interior entrance atrium and ample parking. 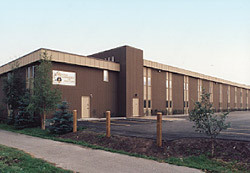 It is the Western Alaska Headquarters for the Department of Fish and Game.